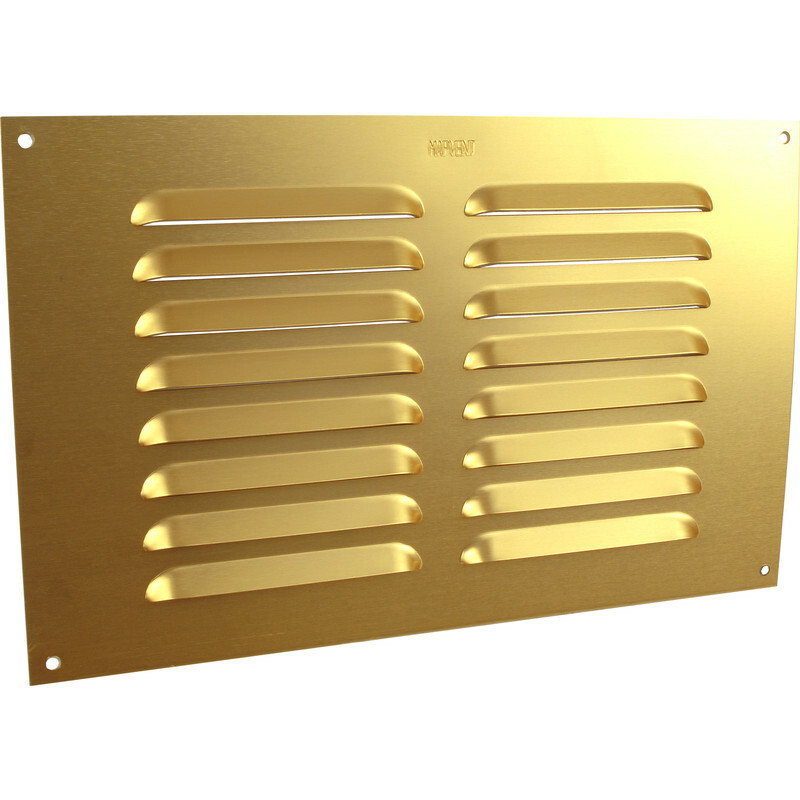 Louvre Vent 9" x 6"
Gold anodised aluminium. Size is the maximum opening the vent will cover. Louvre Vent 9" x 6" is rated 3.3 out of 5 by 4. Rated 2 out of 5 by Plibor from Incorrect size? I thought this would be 9”x6” as on the website and on the product packaging, but it measures closer to 10”x7”, so made this job difficult. Rated 5 out of 5 by bodgeitandscarper from Cheap Bought 2 to create a heat vent in a shed. Just the right size. Plus the price was far cheaper than a high street store! Not much else to say about a sheet of shaped metal. Rated 5 out of 5 by jonna from really ventilating I bought this to let the heat out of my airing cupboard in thye bathroom. It's just the job as when i go into the bathroom in the morning the chill has been taken off. At the price one cannot be vexed.